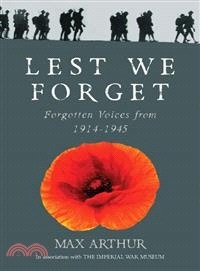 Brings together first-hand recollections from the Great War to the Second World War, to illustrate the impact of war. This title is illustrated throughout with line drawings from the Imperial War Museum's archives. It is suitable for anyone wanting to gain an insight into not only specific conflicts, but the overarching effects of war in general. Max Arthur is an acclaimed author who specializes in first-hand recollections of historical events. He is the author of several bestselling books including Forgotten Voices of the Second World War and Forgotten Voices of the Great War.